What Colours Can we Expect for Summer 2014? Preciosa are bursting into next Summer with a combination of bright and intense colours created from nature. These colours highlight the season beautifully, symbolising life and energy. The colours are separated into four different palettes, demonstrating the moods and visuals of the Summer season. optimistic outlook of this colour palette”. Amethyst Preciosa and Magenta Purple Pantone is a vibrant shade, “intense, yet playful” symbolising new adventures. Flux palette – New beginnings, new buds bursting into life, fresh renewal, life giving. Burgundy, violets, blues and a bright green depict the new life emerging after a barren Winter. The Aquamarine and Placid Blue reflect the warm, sun filled skies that fill the long days of Summer, Violet and Orchid Bouquet for the full Summer beauty and the heady lavender. Light Burgundy and Cashmere Rose for the feminine pinkish-white blooms and the Peridot AB and Green Glow bright green for the lush grass and moss. Turned on its Head – Bright and bold, definitely colours you can get away with in the Summer! Light Siam and Grenadine, a rich yet calming red, the Rose and Pink Carnation, a shade of pink “demands a spontaneous, if somewhat provocative, vivacity to your outlook and actions.” Fuchsia and Pink Flambe, an explosion of colour to challenge your senses. Finally, Harmonic Oscillation, depicting the smooth transition of day turning to night and night to day with gentle pinks and blues of the Summer skies. Blue Zircon and Billiard, a vibrant turquoise for a beautiful morning or tropical waters, Crystal Blue Flare or Blueprint for when the middle of the night is not quite dark, a strong and deep colour. Crystal Apricot and Rust for the gentle colour in-between when the skies are changing. Another jewel in the Czech crown is the perfectly cut Preciosa crystal. 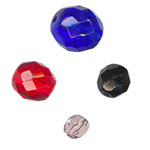 Generations of crystal cutters have devoted themselves to producing a unique stone of quality, respected throughout the international market. The brand was officially registered in Bohemia in 1915, although history tells us that the glassmaking in the Jablonec region goes back to the 14th century. In the 18th century the art of crystal cutting and polishing were brought to North Bohemia by the Fisher Brothers. Soon after the first factory specialising in the manufacturing and export of Bohemian chandeliers was established, many of which were sent to Royal Courts. World War II halted production, but in 1945 seven crystal factories and 18 small firms around the Jablonec region merged, forming the Preciosa company, which was officially established in 1948. Since then, the Preciosa company has grown and developed, now encompassing Preciosa Inc, Preciosa Chandeliers, Preciosa Figurines Ltd and Preciosa Ornela Inc.
To reach perfection, Preciosa use only the most High-Tech machinery and genuine, pure Czech Crystal sourced in an ecological way, meeting all environmental standards. When you buy a Preciosa product you can be assured that it comes from the heart of Bohemia and cut in such a way it will not lose its’ shape or brilliance. The Preciosa Fashion Jewellery Stones come in 43 colours, some traditional, but many designed by Preciosa themselves, unique to them as a supplier, reflecting the latest seasonal trends. 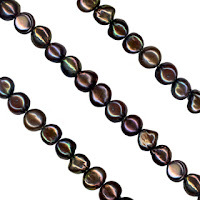 These colours catch the light perfectly and truly enhance the sheer quality of these beads. In fact, their glass bead range has such a high reputation, that Preciosa are classed as the leading producer of glass seed beads (rocailles). Preciosa beads can be applied by gluing, clay modelling, sewing, beading, stringing, wiring, knotting, knitting and crocheting. International Craft give the crafter an opportunity to purchase the Bicone Preciosa Czech Crystal Beads. Bicone is a three dimensional shaped bead (think of two cones back to back), in a variety of colours and shades. 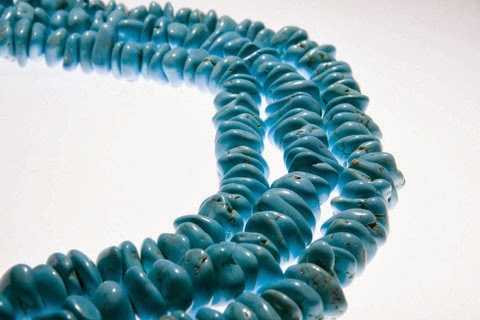 The beads come in three sizes, 4mm, 6mm and 8mm. Beadalon, in the USA are, undoubtedly, the leading manufacturer of flexible bead stringing wire. Beadalon manufacture their own wire, strand and cable for stringing and have done for the past 30 years, with a factory operating 24 hours a day. The new wire products, produced in-house, include the first Kink-free titanium wire, silver plated and 24 carat gold wire. These come in addition to the metallic and satin coloured wires that Beadalon are renowned for. Beadalon have the largest range of colours, wire flexibities, spool lengths and diameters. In 2009 Beadalon acquired Artistic Wire for wires that are permanently coloured. These include coloured copper wire, non-tarnish brass, non-tarnish silver and non-tarnished silver plated for jewellery and crafts. The two products complement each other well and are manufactured easily side by side. How is a Beadalon wire different? 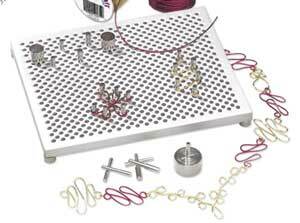 A Beadalon stringing wire is composed of many tiny wires twisted together and nylon coated. The flexibility of the wire depends on the number of strands used, ie a larger number of strands equals greater flexibility. There are three sizes, 49 strand, 19 strand and 7 strand, 49 strand being the more flexible. 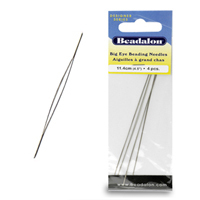 Beadalon recommends that if you are new to stringing, a 19 strand is ideal. 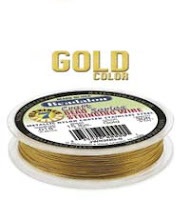 Use the largest diameter wire that will fit through the smallest bead hole. Too small a diameter, then you risk abrasion of the wire. The wire should be comfortably snug. Increase bead spacing – this will help reduce abrasion. Bead bumpers are small squishable beads that can be used at either end or within the pattern, giving a tight look whilst giving the beads more space. Choose a wire with the appropriate breaking strength dependent on size and weight of the beads. Beadalon 49 is the most flexible wire, therefore ideal for jewellery that will go through a lot of wear and tear ie bracelets. Choose the right type of flexibility for your particular design and how you want it to look. Use wire guardians to reduce abrasion at the clasps. Occasionally, Crafters may feel that their beading wire is stretching. In these cases the wire is not stretching but gradually untwisting. This could be a result of using a wire that is too small in diameter or stringing the beads together too tightly. 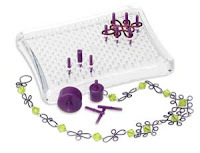 Use Scrimp findings for maximum strength and bead bumpers in between crystals and glass beads to maximise protection. Find Beadalon on Facebook (7,508 likes). 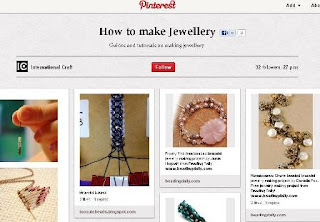 Jewellery Makers - Are you Selling on Etsy Yet? Etsy.com is a vibrant community ecommerce website of 15 million buyers and craft related businesses. If you are just starting out, Etsy is an easy and cost effective way of introducing your brand to a ready made and like-minded audience. You can sell handmade, Vintage or supplies. To gain more experience, you can use the online Labs and engage with other sellers. The online community puts you in touch with other artists and entrepreneurs, informing you of events near and far as well as the opportunity to gain valuable information from the more experienced. specialise in jewellery and craft supplies, with Etsy providing a wide variety of categories to enable the Crafter to sell their creations, including fine jewellery, personalised, eco friendly and display accessories. This is a worldwide marketplace where you can choose your region, language and currency. There are no membership fees. A small fee is paid for each item that is listed for up to 4 months. When the item is sold Etsy take a 3.5% commission on the sale. Your own profile allows you to show a shop banner, photos and give your story to your potential customers. Etsy.com allows your business and creativity to grow at your pace. Of course, the Etsy way of selling allows for a lot more flexibility in your working. You don’t have to be tied to a traditional shop, you can work from home, fit your selling around your childcare needs and work in the evenings if it is more suitable. There is a rich collection of Blogs, featuring craft ideas, selecting sellers to feature, inspiring writing from mentors in the craft industry, party ideas and weddings to name a few. Another valuable source of information and interest. Etsy are prominent on Social Media, with nearly 2 million followers on Twitter and 1 1/4 million likes on Facebook. The website Etsy.com is modern and easy to navigate. When you click on a product you see a larger image, full product description, delivery and payment options, how many other items the company have in their store and a little synopsis of the company itself, for example this bunny toy Etsy Product Page. There is also a contact link, add to favourites and links to their social media. So, even if the customer does not want to buy that item, there is an opportunity to browse that company’s products easily. Etsy.com is a great site for weddings, including its own Registry which you can manage, featuring unique gifts for that special day. International Craft provides all the tools and supplies you need to create your own jewellery or craft business, Etsy.com is the stepping stone you can move to next to make it a success. 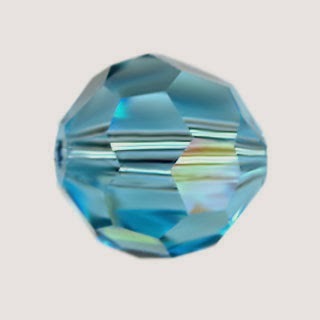 Swarovski crystals are such a versatile and essential part of any craft persons’ materials. Swarovski themselves have proved that their brand are at the forefront of fashion, art and modern culture, from the clothes and accessories through to stage and screen design. There are even gigantic pieces of art, large enough for people to walk inside, made entirely from the crystals. The beauty of light catching the crystal and the colours it produces is intoxicating. International Craft appreciate the magic of these crystal beads and feature a range large enough to satisfy any craft designer. Designers Chris Peters and Shane Gabier use Swarovski Elements as an extension of their designs. The pastel colours within the jewellery complemented the clothes perfectly. This is the third year the designers have used Swarovski. 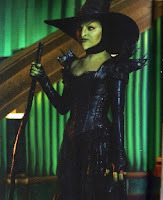 Oz is a blockbusting sequel to the 1930’s Wizard of Oz, where the focus this time is on the power of the witch. The costume designer, Gary Jones, uses thousands of Swarovski crystals within the costumes for ultimate impact. Swarovski had a large part to play in this year’s Oscars. The stage design featured a sparkling curtain made from 80,000 Swarovski crystals, designed to catch the lights, reflecting the old time glamour of Hollywood. At this link on YouTube you can see Derek McLane explain the reasoning behind the huge Swarovski presence at the Oscars. 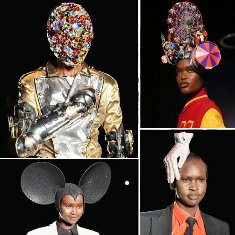 Designer Philip Treacy, renowned for his hat designs, uses African influence and the clothes of Michael Jackson to create a stunning show at London Fashion Week. Swarovski Elements gave the finishing touches in the form of hats and gloves (remember Michael Jackson’s famous glove?) along with African style jewelled accessories. These are just some of the ways in which designers have used the Swarovski crystal to take their creations to a new level and for the craft person the design opportunities are endless. 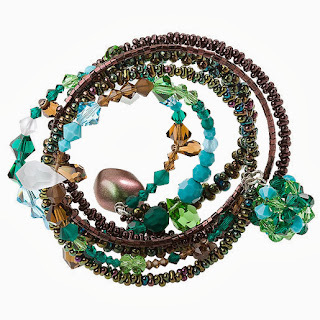 For more on the Swarovski crystal beads at International Craft, click here. Freshwater Pearls are created using fresh water mussels who live in a non-saline water found in lakes, rivers and ponds. The pearls are produced mainly in China using a farming technique. Japan and the US can produce them too, but on a much smaller scale and pollution has played an unfortunate part in the demise of the industry in these areas. 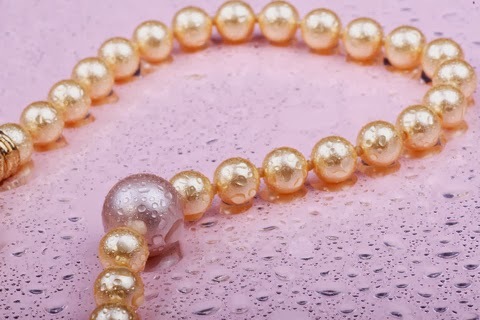 When produced on a large scale Freshwater Pearls have to be referred to as ‘fresh water cultured pearls’ as stipulated by the US Federal Trade Commission. China is believed to have harvested pearls from as early as the 13th Century and now produces 1500 tons of the freshwater pearls with the Hyriopsis cumingii mussel and several hybrids. Outside of Asia, a pearl farm in Tennassee was able to cultivate the freshwater pearls. However this became unsustainable and is now a tourist attraction. The farming technique is a process involving the grafting of a donor mussel carried out by a technician, this can be carried out up to 50 times per shell. The Chinese prefer to use the triangle shell which is the Hyriopsis as although the volume of pearls are lower, they are considered of better quality. The molluscs are returned to the fresh water where they are tended for 2 – 6 years. More information on the freshwater pearl industry can be found on the forum of Pearl-Guide.com, 'Innovation continues in Chinese Freshwater Pearl Culture'. At a first-stage factory the harvested pearls are cleaned and sorted by size and shape. At the processing factory they are pre-treated in a warm and cold chemical solution and bleached. If the pearls have a strong colour, they do not get bleached. The pearls are then drilled and polished with a wax and cornmeal mixture. 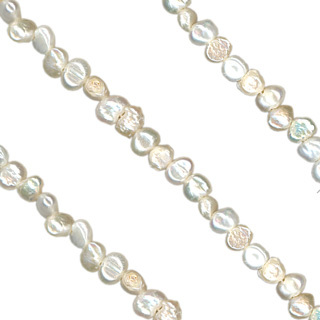 To keep the pearls in good condition for onwards sale they are placed onto temporary strands and matched into hanks (a composition of 5 – 10 temporary strands). 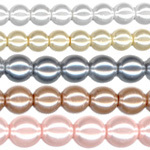 Freshwater Pearls appear in a wide variety of natural colours and shapes. They are less expensive than the salt water variety and are popular with young people and designers because of this. They are solid and durable, giving a longer life with more resistance to chipping, wear and tear. 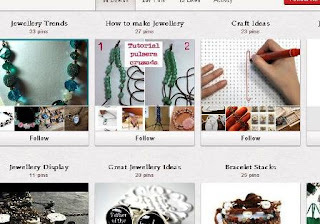 Pinterest is a virtual pin board, a display of images from your favourite web pages of topics and themes that interest you. Similar to the notice board you may have had in your room as a teenager, a place where you can put images of all your favourite things. It allows you to share your pin boards with like minded people. It is different from other social sites, it does not rely on ‘chatter’ or regular posts to keep it interesting. It is not high maintenance. For jewellery designers and DIY crafters, it is a great way of organising and visualising your thoughts – you can arrange your themes by colour or product, allow you to see your craft as others would. Links back to your website direct interest to a potential sale. Links to other social sites keeps your business moving in ever increasing circles. A Pin – A pin starts with an image or video that you can add. This could be from your website, a useful link back. These ‘pins’ can be repined. A Board – This is where you organise your pins by topic, ie you could have a board for necklace making. These can be secret or public and you can invite other people to pin on your boards. A Follow – When you follow someone, your Pinterest home feed will show their pins. You can follow all that person’s boards or just the ones that interest you. Pin It Bookmarklet – This lets you pin things you see on websites and blogs, using a symbol in the corner of the web page. Home Feed – This is a collection of pins from pinners and boards you follow. It is updated every time someone you follow adds a pin. The most popular categories are Home (17%), Arts & Crafts (12%), Style/Fashion (12%) and Food (10%). The way images are presented can spark a person’s thought process, ‘How can I make that?’ Be sure to show the tools they need so they see it is possible for them to do it themselves. When posting in the DIY Craft section of Pinterest you can be sure that the majority of people who pin are there because they are specifically trying to make something. Use step-by-step tutorials with clear links to draw in your customer and direct them to landing pages on your site to keep the flow. The benefits of following International Craft on Pinterest is that we cover many aspects of jewellery and craft ideas, such as How to Make Jewellery, a noticeboard giving close up images with instructions you can take away with you to follow down to the last detail or inspire you to try making a product using your own creativity. There's the board showing jewellery trends, lovely illustrations of what's hot now, Craft Ideas that anyone can have a go at and a board on Jewellery Display, great tips for the beginner or new ideas for the professional. 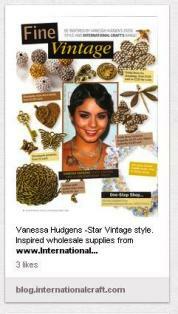 Feel free to repin to build up your own catalogue of ideas and tips. The Czech Republic provides International Craft with some of the most beautiful glass beads for jewellery making. What is it about this country, in the heart of Europe, which makes them so special? It was in the Middle Ages that the Czech Republic’s glassmaking tradition started, soon after the Czech lands, known as Bohemia and Silesea, established themselves as a kingdom in the 13th Century. Bohemia was famous for its striking and colourful glass. The Bohemian glassworkers used locally sourced potash and chalk to create a clear glass, stronger than that from other countries. The northern area of the Czech Republic has mountainous regions rich in wood and siliceous sand, both essential raw materials used for the glass industry. From this emerged Bohemian Crystal, famous for its excellent cut and engraving. The first glassworks were built in the town of Kamenicky Senov in 1530. By the 18th Century the works produced there graced the tables of Royalty all over Europe. The originator of Swarovski Crystal, Daniel Swarovski, was born in the North of the Czech region and only later moved to Austria where he set up the famous Swarovski empire. To find out more about Swarovski, read our blog here. The Czechs set the bar high in their glass making standards. Their craftsmanship and quality of products are unparalleled in the world. You are only considered a glass ‘artist’ after many years experience and training. Kamenicky Senov, as well as the glassworks, has a School of Glassmaking, opened in 1856. Here, the teachers are up to date on the latest contemporary techniques, as well as being able to teach the traditional engraving, cutting, casting and blowing basics to the students. It may take these students, who come from all over the world, predominantly the United States, up to fifteen years before they are established artists. 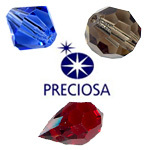 Preciosa is genuine Czech crystal, world renowned for its High-Pure Crystal Technology TM. The crystal, which originated from the hills of Bohemia, has striking optical and aesthetic features creating an extraordinary product. The product comes in a broad variety of shapes and diverse colours. To find out more, click HERE. Another example is the Faceted Glass Bead. The technique used is to ‘fire polish’ the glass. The glass is cut and heat polished, resulting in a bead that has a centre which reflects the fire that was used to create them. The multi-surface appearance from the facet cut adds to the beauty of this bead. To find out more, click HERE. 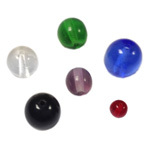 Tiffany Glass Beads are round, translucent coloured press glass beads. These are one of the original styles of glass beads from the Czech Republic, using the technique of pressing heated glass rods into a mould. This ensures consistent size, quality and the distinctive translucent colour. To find out more, click HERE. To see these and the other beautiful beads International Craft stock from the Czech Republic, please click HERE. What are Jewellery Findings and How are They Plated? Jewellery findings are the parts used to join jewellery components together to form a completed article. They come in many forms, a necessity in the art of jewellery making. Plated metals are a popular choice for jewellery findings. 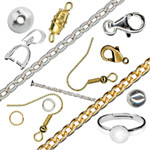 At International Craft there is a huge range of gold and silver plated findings, perfect for creating earrings, bangles, necklaces, brooches, bracelets and pendants. Click here for more on jewellery findings at International Craft. What is ‘plated’ and what is the process involved? Plating means to deposit a metal onto a conductive material, to create a surface. This surface acts as a decorative finish, protective barrier and helps prevents corrosion. Most plating is done by a chemical process known as electroplating. The basic metallic item of jewellery is placed in a tank containing a chemical solution and a block of the plating metal. By passing an electric current through the solution, a specific amount of the metal is transferred onto the jewellery. The electroplating process began in 1800 by a man named Luigi Brugnatelli, an Italian chemist and university professor. Luigi developed the process of gold plating using voltaic electricity and working on a wide variety of metals. Within five years he was able to plate a fine layer of gold on metal plates. There are other methods such as vapour deposition and sputter deposition, these are more commonly used for electronics and household items. Gold plating is done using 18 or 24 carat gold. 24 carat gold is soft, so alloys can be added to harden it. Most jewellery plating is done with silver or gold. White gold is an alloy of gold and another white metal. It is often plated in rhodium to give it a bright white look. Pink or rose gold can also be used in plating. At International Craft all findings are nickel safe and comply with EU regulations regarding nickel content. Silver plating adds a beautiful shine to a more solid metal. Today there are many companies that will restore plated jewellery by removing any old tarnishing and replacing the gold or silver plating so the item looks new again. 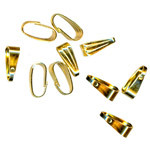 In gold and silver plated findings you will find jump rings, essential jewellery components in the making of jewellery. Jump rings are circular metal rings with an opening, used to attach clasps, pendants, charms, and other jewellery components. Plated bails are loop findings that connect a pendant to a chain. Some clip onto the pendant, some have mounts to glue the pendant to, and some attach to a ring on the pendant. The bail helps the pendant to lie flat when worn. 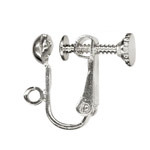 There is a huge range of plated earring findings at International Craft, from ear screws to flat pad ear clips, ear clips with drop, safety ear wires, fish hooks, ball ear wires, French drop studs, flat pad studs and scrolls – great choice for the jewellery maker. 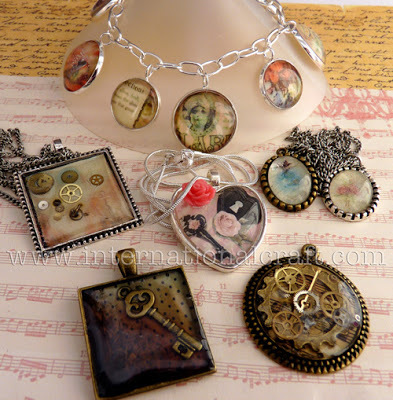 The findings at International Craft are not confined to gold and silver plating – there are sterling silver, 9ct gold, gold filled and silver filled pewter, Steampunk and Vintage findings, giving a versatile range for all tastes. For the whole range of jewellery findings at International Craft, click here.